Our Table Top Grain Grinding Mills are manufactured by involving all our expertise and skills in food processing technology. We, at our end engineer all these grinding mills very carefully by implementing the latest and advanced techniques so that these mills ensure a trouble free performance for long time period. 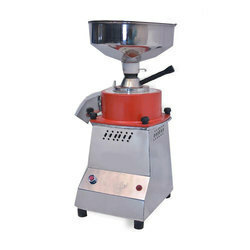 This type of grain grinding machine is mounted on top of a table, thus, providing easy and simple handling. Unlike other conventional grinding mills, Suksha Table Top Grinding Mills has a reduced size, weight and also prices. We offer a wide range of grinding mills in different sizes that are best known among our clients for highly effective as well as continuous crushing. 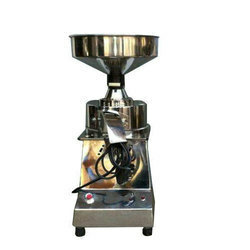 These grinding machines are ideal for dry crushing. We offer Table Top Stainless Steel Grinding Mill to our Client. Looking for Table Top Grain Mills ?